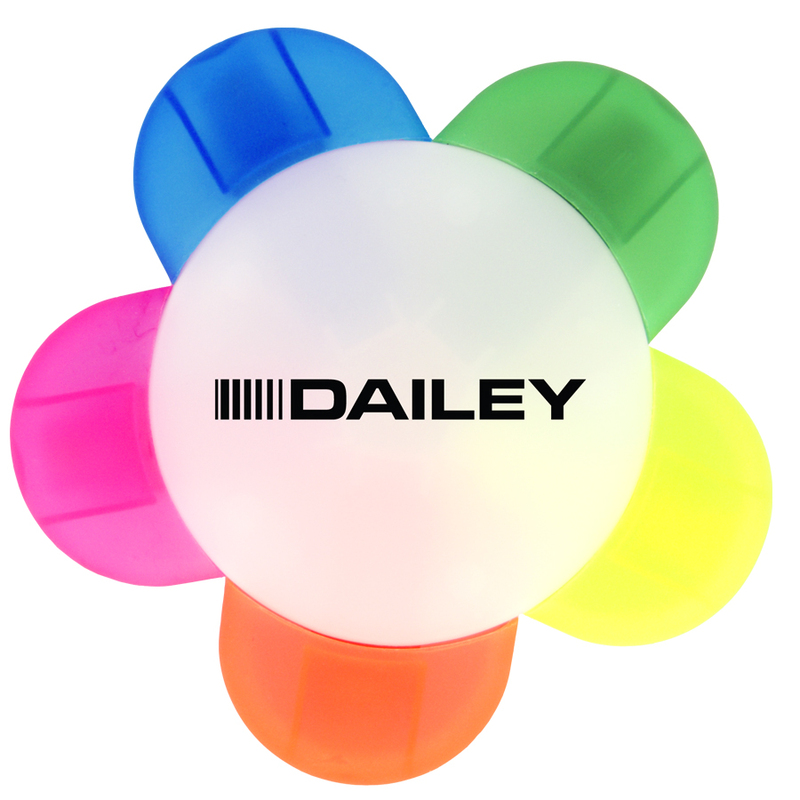 A dasiy shaped highlighter that will grow your brands marketing. Have your promotion flourish with some of these highlighters shaped like a flower. Each "petal" has a different coloured highlighter inside and decoration is located on the large space on the front for easy visibility. Decoration Area Imprint Area: 51mm dia.DDP Area: 57mm dia.